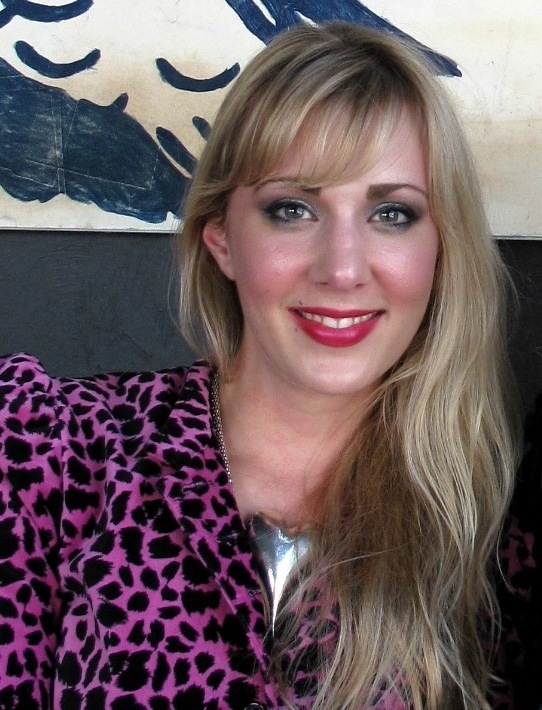 If you associate art history or humanities scholarship with tweedy professors and musty libraries, meet Charlotte Frost. Her signature pink nailpolish and, more importantly, her theories about digital humanities threaten to make tweed extinct. 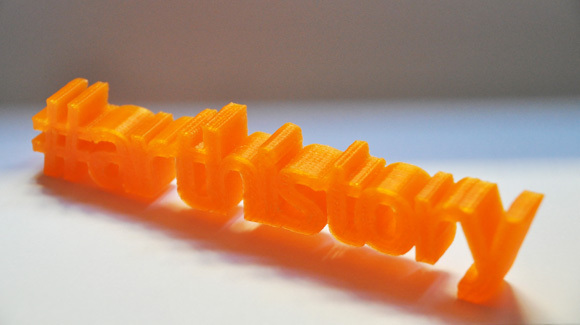 MakeTank is participating in a crowdsourced digital art project – involving a 3D printed hashtag – that is an integral part of an online, peer-reviewed academic book by Dr. Frost. 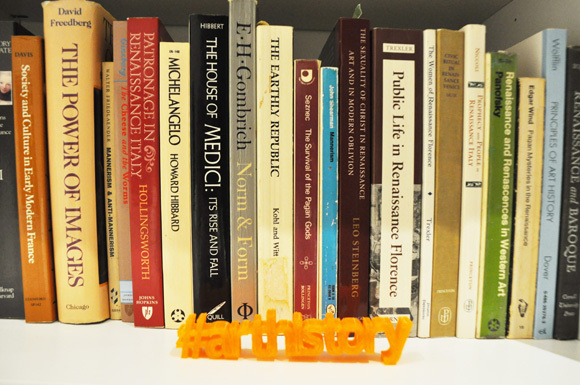 Teaming up with digital artist Rob Myers, Frost has created a three-dimensional model of the text “#arthistory” that you can print yourself or order from Shapeways. Participants are encouraged to ‘tag’ things in real life, applying the label of art history to whatever they think is appropriate. Examples in the shared Flickr group pool range from architecture to crafts to books themselves, challenging what we might think of as ‘art’ and what is worth consideration by the related discipline of art history. Put as simply as possible, the project explores how this discipline is changing as the form of the book – object of study and production to which art historians dedicate a large percentage of their waking lives – mutates in the digital world. Through the visual component provided by other peoples’ photographs of the hashtag in the real world, the project also serves to remind us that the object of our study resides, actually, in physical space. This suggests “what a media-aware approach to art historical enquiry might look like” (ref.). We asked Charlotte Frost to tell us a bit more about this visual experiment and the importance of the 3D printed hashtag in it. 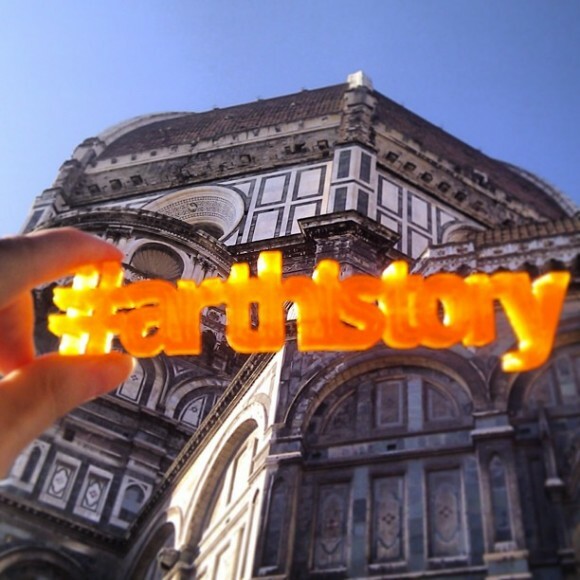 MT: Why print the actual word #arthistory in this experiment? CF: Because we tend to ignore the fact that ideas about art always take a tangible form. For example, when we read an art history book our attention is always directed towards the artworks described by the book, the book itself becomes almost invisible. We might notice the images are well produced or that the paper is great quality, but we certainly don’t give books as much of our attention as, say, oil painting. What I wanted to do was draw attention to the physical qualities of the art historical archive, to literally make art historical text the object of analysis. I want us to think for a change about what art history is made of. It’s also meant as a bit of fun. I’m hoping that the idea of physically hashtagging things will draw more people to the project and entice them to take part. Academic work is usually directed at a really niche audience but I wanted to find a way to open it out instead. That’s why there are two main entry points to the whole project, a lighthearted summary and the main critical text. MT: You write that the hashtag represents “the tool never far from the art historian’s hand: text.” Can this be read as criticism? 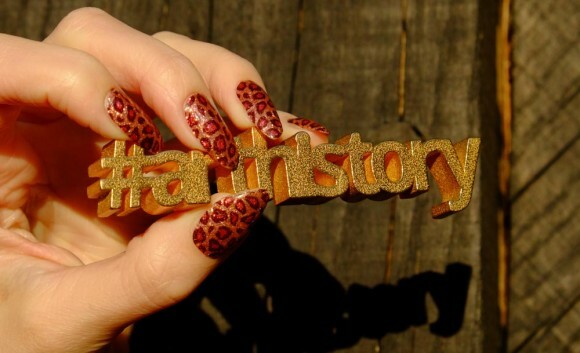 What do you propose should become art historians’ new tool, if not text? CF: I’m not saying text is over or books are dead or anything like that. I’m asking what questions digital communication technologies and online realms such as social media platforms allow us to ask about art. I’m not anti-text, I’m pro-what-does-text-do-in-these-new-realms. And I’m interested in the participative and creative ways people consume and contextualise culture online. Art history has been relatively slow on the uptake in this regard. There are great projects like SmartHistory and the Google Art Project that extend the ways we already do art history, but I’m keen to explore emerging ways of encountering art that don’t conform to established standards. For example, I often talk about Furtherfield’s project the VisitorsStudio. This is a website where a lot of art activities occur all layered on top of each other. It’s a great place to learn about how to make new media art but thanks to the way artworks are stored, and chat function, it’s also like a gallery where you can rework the collection and have an open studio crit. There’s text in there, but I’d argue that meaning is most successfully transferred via making rather than just reading or writing. MT: It seems to me that the choice of 3D printing as medium for your experiment goes beyond practicality to include similarities of theory on which both your academic work and 3D printing are based – physicality and openness. Can you confirm and explicate this comparison? CF: The article and the idea of printing a hashtag are underpinned by the same archival theory. Or rather, they both ask after the extent to which the form of an archive impacts the meaning of its content. How much does the codex contribute to the way we think? And how much does our book-shaped thinking confirm the importance of the book in our culture? That’s over-simplifying, but suffice to say I’m trying to get into a discussion of the materiality of art historical archives and what it means when those materials change. Has the literal form of the book worked to support some of the foundational evaluative questions of art history? Is the idea of reading an artwork a direct by product of the act of reading a book? Can we think differently about creativity now that we have different types of (digital) archives? What I’ve also done with this project is both argue for and demonstrate not the end of text but the growth of contextual creativity. And yes, you’re right, I’ve tried my hardest to make sure all of this is done out in the open. Usually an academic article would be written in private, sent to a journal, reviewed by people in the author’s field, the feedback would be sent to the author without the reviewers’ names attached, and then the author would be able redraft according to their reports – still privately. And hopefully after that the paper would be accepted to the journal and published some time later. This way round, I’m kind of making writing and peer review a bit more open source; I’m showing the methods involved. One of my other projects, PhD2Published, is all about this kind of transparency. I’m a big believer in sharing and openness. I know it’s not always appropriate, some work needs to happen in private, but where possible I try to work publicly so that more than just the ideas are passed on. This ethos clearly relates to the world of digital and new media arts. The entire reason I began working as a critic and historian of this field is because there is so much tactical use of media. So many artists – like Rob Myers in fact – are asking questions about what art is and what it should do by using certain types of media in very particular ways. What I’m trying to do with this project is apply the media as carefully as the theory. This is something that isn’t often done with art history. We curate shows and publish books because we’re supposed to. But what happens when use materials that allow us to explore our ideas more fully? 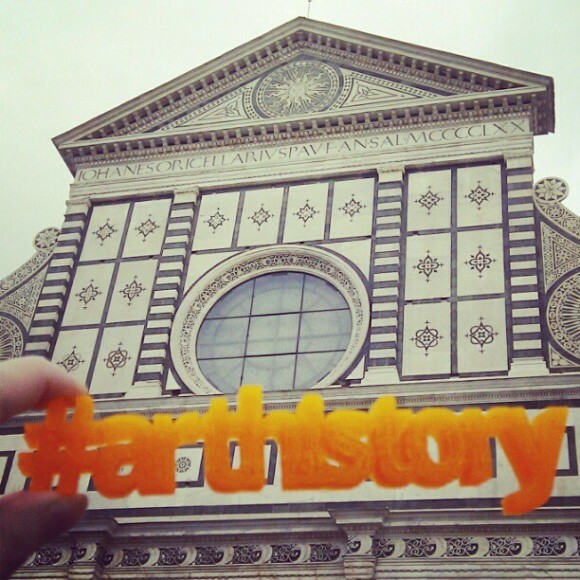 MT: How will you choose to include, place, or edit the images of the hashtag you collect in this project? How does editing and choice fit into an open or crowdsourced project? CF: I’m asking people to upload their images to either a Flickr group or a Tumblr blog (as well as tweet them of course). Anything added to the Flickr group or the Tumblr blog will automatically appear within the article itself. I want no control whatsoever about what is or isn’t included – although I’d probably have to revise that if material of a sensitive nature were included. Behind most of my projects is a desire to examine and circumvent traditional systems – to be freer and more open not just with information but methodologies. I’m reversing the idea of what it takes to illustrate an academic article or a book. Usually art historians end up paying large sums of money to include images in their work and then readers pay for access to these images and their accompanying writing. Here I’m making my work freely available but I’m asking readers to join in with such sharing by adding their own images (or in fact their own writing, if they choose to comment on the work) to the project. Likewise images in articles are usually of the artworks discussed. My article discusses the system of writing and publishing about art, so the art project (which evolves over time) is a living embodiment of that system as it operates in digital channels. I’m not showing static images of artworks, I’m allowing living archive to represent what I’m talking about. For more information, see links and files to contribute to this project with your own, real-life hashtags, or read and comment on the digital book that these hashtags illustrate.